Using Holly Berry branches is a wonderful way to bring Christmas cheer to your home. 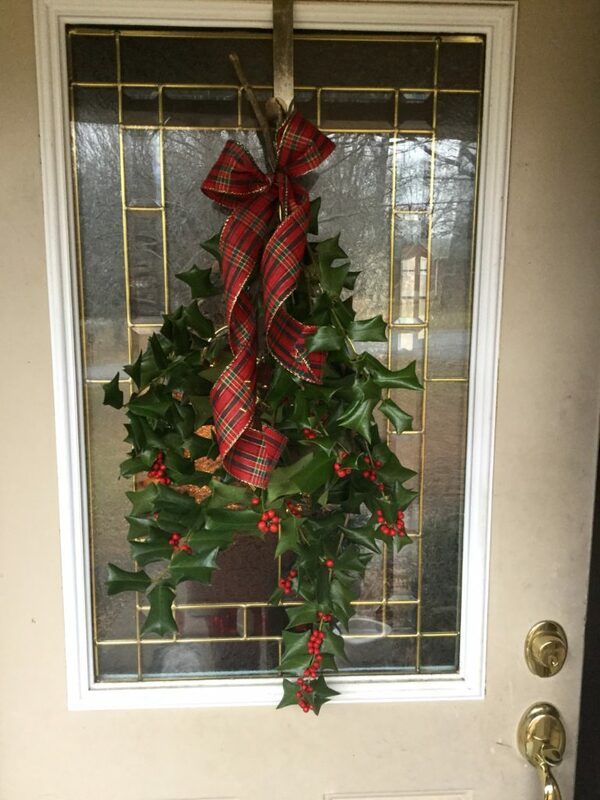 If you have a Holly Berry bush or can snip some branches from the bushes that grow wild…it’s an inexpensive way to decorate a mantel, buffet, stair rail or this easy swag on the front door, which makes a BEAUTIFUL statement. Arrange the Holly branches, secure the branches together using twine or floral wire & tie a simple bow, nothing fancy, then hang. Merry Christmas!